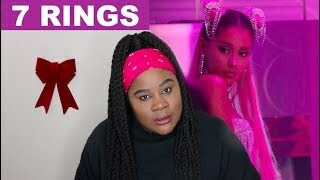 Ariana Grande released a new single titled "7 Rings" from her upcoming album, and this is my reaction to it. Did Ariana Grande send our wigs to Jupiter? Or did our wig stay glue to our scalp? Let's find out together!